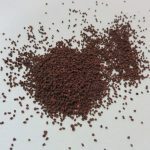 Below you will find a selection of typical Wildflower Species which appear in our range of Wildflowers and held in stock by our seed supplier for immediate dispatch. Greater Birdsfoot (Lotus pedunculatus) flowers from June to late August followed by distinctive pods. 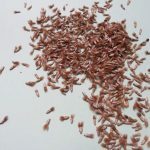 Greater Birdsfoot seed is a brownish green compared to the reddish brown of Common Birdsfoot. It spreads by stolons and to a lesser extent by seed. 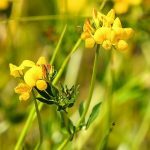 Found on a range of damp grassland including wet meadows, rush pastures, marshes, ponds, lakes and rivers with a preference towards acidic soils. Greater Birdsfoot is the only British legume found in wetlands. The Columbine plant (Aquilegia sp) is a perennial and blooms in a variety of colours during spring. The bell shaped flowers are also a favourite to wildlife and may be used in cut-flower arrangements. 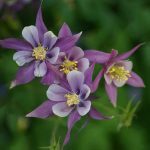 Columbine can grow in any soil as long as it is well drained. They do not like very hot conditions especially in the summer. In warmer areas, grow them in partial shade. 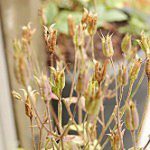 Columbine will easily grow from seed and will readily multiply once established. Weekly watering is necessary and provide fertiliser monthly. By providing fertiliser, this will produce brighter blooms and thicker foliage. Regular deheading will also benefit the performance of additional blooming. Pruning columbine plants back to the foliage just after blooming can help with any pest issues. Seedlings will emerge 22-30 days later. Cornflower (Centaurea cyanus) is electric blue coloured, easy to establish and flowers all summer; as well as these benefits they also attract bees and butterflies. Cornflower will develop strong roots during the cooler months, allowing them to reach a height of 90cm. Autumn sown plants will grow 1-1.5m and will flower six weeks earlier. Although blue is common colour, white, red, pink and purple varieties are available. 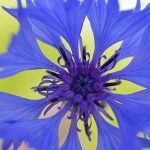 Cornflowers grow and flower in sunny areas and require a fertile soil which can hold plenty of moisture but does not dry out or become waterlogged. Sowing Time: March to May will flower in June to September. 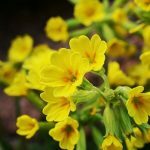 Cowslip (Primula veris) is a cousin of the Primrose and is an early spring flower. The flowers are deep yellow with an orange base which are arranged in an umbel and usually droop to one side, reaching a height of 25cm. The green leaves are covered on both sides with a fine layer of hairs. Cowslip thrives best in moist, free draining sites. This species is in tolerant of water logged soils and is rarely found in shaded areas. It produces a reasonable amount of seed and in disturbed areas it may establish itself to form a wider population. 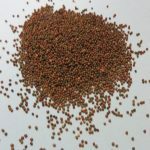 Sowing Depth: Seed should be sowed with its own depth of soil.